Pendant by Paul Katherman. Gold Retti Air Trap Stealie Pendant with Opal Bolt. 14mm Worked Slide by Brandon. 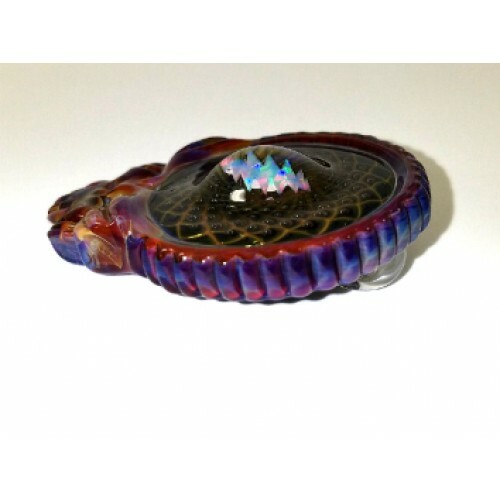 Carsten Carlile Worked Hand Pipe. Home » Pendant by Paul Katherman. Gold Retti Air Trap Stealie Pendant with Opal Bolt. Pendant by Paul Katherman. Gold Retticello Air Trap Stealie Pendant with Opal Bolt. Paul Katherman A.K.A. 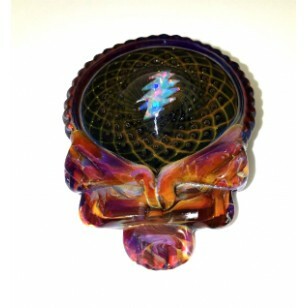 Paulie Two Fingers love of the Grateful Dead is beautifuly front and center in this amazing pendant. 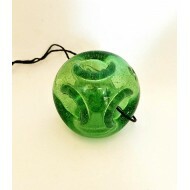 Each air bubble is perfectly placed, all surrounding the eye catching Lightening bolt. 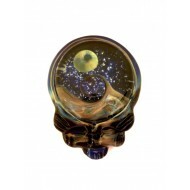 Blue, Amber, Purple make up the color of the stealie. Signed and dated by Paul Katherman on the back. "I have been lampworking for 16 years. My focus is on pendants , beads and marbles. My inspiration comes from many years of visiting the beach with my family. Many years touring the world following bands and meeting many colorful people. My biggest inspriation comes from my childen I take all these experiences and funnel my emotions through color and design to deliver a piece of art that connects with others. Devolping my style and career will neer be done. We all grow and evolve as people and thats why i know my work will continue to evolve with every new experience. Docs Smokeshop. Best Smokeshop in Baltimore. Best Vaporizers in Baltimore. 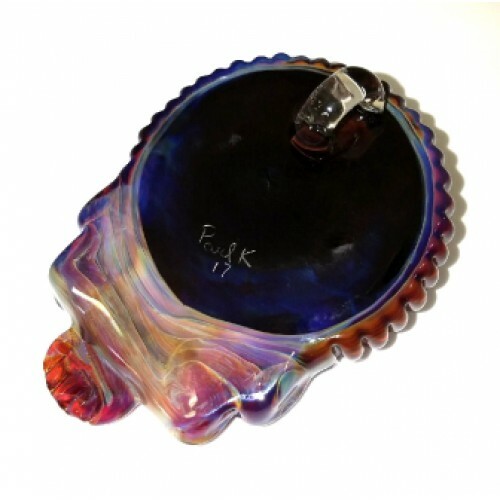 Great selection of pipes, vaporizers, and accessories. 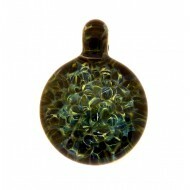 6 hole green pendant by Mike Higgins. Docs Smokeshop. Best shop in Baltimore. 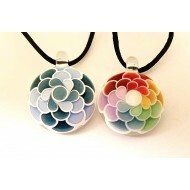 Great selection o..
Grimm Paint Brush Pendant. Docs Smokeshop. Best Smokeshop in Baltimore. 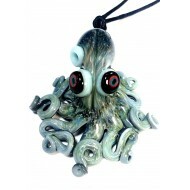 Best Vaporizers in Baltim..
Octopus pendant by Michael Hurst. Signed and dated on the back. Docs Smokeshop. Best in Balti.. Standing on the Moon Stealie Pendant by Paul Katherman. A.K.A. Paulie Two Fingers. Paul Katheman's l..
Pendant by Paul Katherman. Standing on the Moon Stealie. 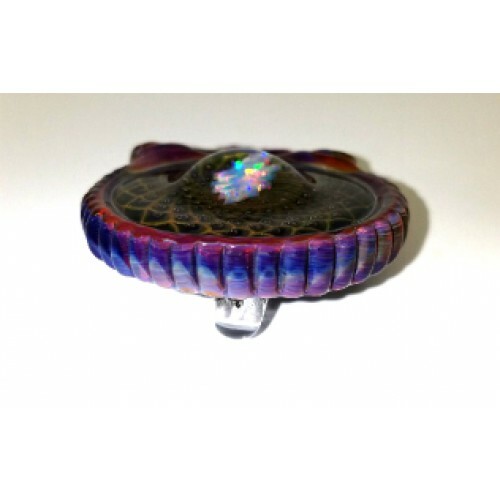 Color Burst Pendant by Paul Katherman A.K.A. Paulie Two Fingers. Blues, greens and grays are sur..
Pendant by Paul Katherman. Color Burst. Dot Stack Pendants by Julie. 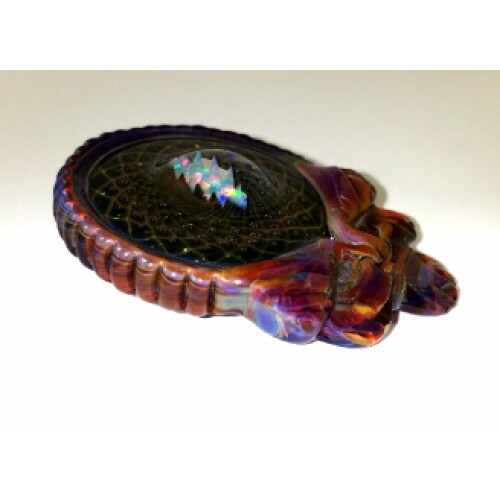 One Pendant is multi colored. red, purple, green, blue and y.. Dot Stack Pendants by Julie.